Rummaging through her bookshelf five years ago, Louise M. Pascale, an assistant professor of creative arts and learning at Lesley University in Cambridge, came upon the collection of Afghan children's songs that she had compiled as a Peace Corps volunteer in the late 1960s. It was sort of like finding an old yearbook, but instead of illustrating how hairstyles and skirt lengths had changed over the years, the tattered green songbook called attention to a greater change: The devastation reaped on Afghanistan after years of Taliban rule. Holding the relic, Pascale was certain that all remaining copies of the songbook, which she distributed in Kabul during her time in the Peace Corps, had been destroyed. She assumed they were lost, along with instruments and archives of local folk songs, when the Taliban outlawed music. "I said to myself, 'I want to give this back to the kids in Afghanistan,' " Pascale recalls. " 'It's not doing me any good in my bookcase.' "
The songbook has come a long way from its creation nearly 40 years ago, when the 22-year-old Pascale realized, while traveling to Afghan schools to teach music, that students lacked books of songs. She worked with local poets and musicians to transcribe traditional songs. Pascale's goal, to return these songs to a country stripped of its music, will be realized in the coming months. But the project is not over yet. The Afghan minister of education has asked that songs now be gathered for adults, so a second book can be created. Pascale takes the request as a good sign: "It makes me feel that they see the importance of it, and they know that music is a way to solidify and connect the country." 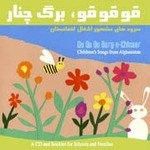 Learn more about "Children's Songs from Afghanistan."